Apart from its current economic development, the most ancient area of Azerbaijan plays an important part in shedding light on the scientific information about ancient human civilization and about the founding fathers of Azerbaijan. 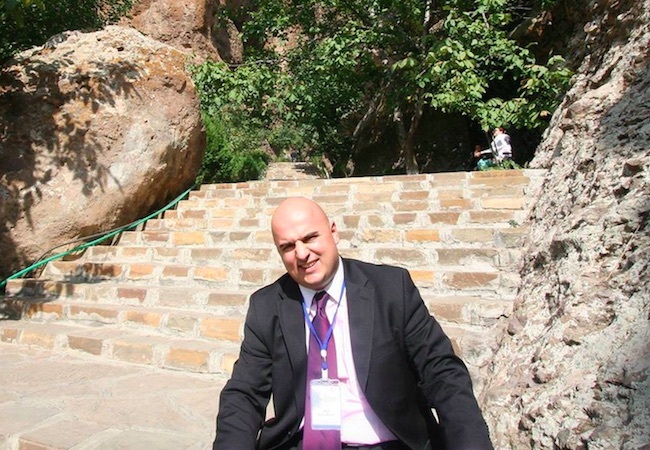 In Nakhchivan one can find ancient caves that belong to primitive humans, ancient dwellings, remnants of the early city culture, grandiose fortress city walls, petrography, stone ram monuments, ancient tombs in general, and religious centers of pilgrimage. The remnants of the Stone Age are reflected in the caves of Ashabi-Kahf, Gamigaya Necropolis and the structures of Petrography. The sanctuary of Ashabi-Kahf (meaning in Arabic “Cave Masters”) is a natural cave between Ilandagh and Nahajir monuments, located 12 kilometers from the city of Nakhchivan. According to the text of Koran, this cave hosted those who had trusted others besides God and had decided to leave their community and hide in a cave. There were seven youngsters who had stayed in this cave: Tamlikha, Barnush, Sarnush, Maksilma, Maslina, Sazanush, Kaftantush, and their devoted dog, Gitmir. According to Korani Kerim, a holy text, the events related to the Ashabi Kahf are related to the ancient histories of Nakhchivan. Christian Literature does not mention the existence of Ashabi-Kahf, only during the recent times and after significant archeological investigations it came to the attention the importance of this ancient site. International scholars reached a conclusion that this monument of Nakhchivan is an important asset of religious heritage and above all is deeply rooted to Korani-Kerim. This pilgrimage site does not have any relation with Christianity, later on in this site there was built a mosque and this historic and religious site is connected by a 12 kilometer paved road with the main city of Nakhchivan. The petrography descriptions are found in Garangush Summer pastures of Nabiyurdu in the South – North Gapijig mountain slopes in Ordubad mountains in the lower Caucasus. The archeologists have discovered the remnants of the settlements that belong to the forefathers of the Azerbaijani Turks in the area of Garangush where the petrogriphs were engraved. This is also a testimony that such a mountainous region was one of the main hunting areas for the ancient people of Nakhchivan. Later on they became the Summer Pasture areas for the subsequent tribes, namely Nakhchivanchay, Alinjachay valleys. All descriptions are engraved in rocks and describe the daily activities of the local inhabitants, the most part of these old descriptions consist of animal pictures, goats, ox, deer, dogs, leopard and wolf. The age of Gamigaya Petrographic sketches and old settlements that goes back in 5-6 thousand years ago. The research and investigations in Gamigaya begun in 1968, since then many important discoveries have taken place in this ancient place in which current generations will become familiar with the way of life, culture and daily activities of the inhabitants in Nakhchivan.